Since 2004 this has been supermodel Heidi Klum’s signature line on the wildly popular reality television program “Project Runway,” which features unknown designers seeking to launch their fashion careers. It’s a clever line that has become part of the national vernacular – particularly for the Facebook generation. Who knew that the line would apply to the likes of General Motors, Bear Stearns, Polaroid, Wachovia, Bill Blass, Circuit City, Waterford Crystal, Chrysler, Sovereign Bank, Blockbuster, and innumerable other established brands that once enjoyed a secure place in the hearts and minds of millions of consumers. Such swift brand disappearing acts are contributing to consumer confusion and spending paralysis and forcing increasing numbers of established companies to hastily develop strategies to avoid becoming recession road kill. Sales (70% off pre-Christmas at Saks Fifth Avenue and Macy’s!) and gimmicks (return your new Hyundai if you get fired in the next year!) and incentives (get a free meal plan on Disney Cruises at MouseSaver.com!) may spark purchase, but without a solid and enduring brand strategy, any company – regardless of heritage – is potentially on borrowed time. So how can a company best avoid premature extinction? Regardless of sector, it’s become increasing clear to consumer, technology, professional services, non-profit, higher education, health care and financial services professionals alike that it is imperative to focus on their brand strategy to make sure it is as current and relevant to as many existing and potential customers as possible. Remember, the flip-side of despair is opportunity, so while the giants may be tumbling at record speed, it’s the perfect time for brands that are second or third in their category to refocus, reposition, and emerge as the new leader. Focusing your brand strategy requires a proven methodology that assesses the current state of your brand, existing messages and visuals, key audience needs, and competitive landscape. The goal is to identify your company’s key features and the benefits one derives by utilizing your goods or services. Getting to that unique differentiator requires a brand blueprint or guide that informs the marketing initiatives that educate audiences about your offer. Included in this mix are communication vehicles such as the corporate website, advertising, collateral materials, public relations, social networking initiatives and in-market events. Analyzing the competition and diagramming the position each currently owns in your competitive set. Dialoging with internal and external stakeholders to learn how you can become a more important part of their lives. Refining the existing brand strategy incorporating your deepening understanding of customer feelings and behavior; defining the key benefits you provide to customers, and strengthening the skills required to make and keep this promise. Expressing your brand visually, assessing your current visual system, evolving or creating new brand elements and imagery to ensure they are effectively communicating the most important attributes and characteristics of your brand. Defining the editorial voice with updated relevant messages, tagline and key vocabulary that collectively create a clear and compelling voice for your brand in your category. Coaching employees to ensure they understand and can evangelize your brand. Sharing the knowledge with all your agencies of record ensuring the consistent and universal expression of your brand. Unlike “Project Runway” frocks that rely on the fickle consumer’s appetite for what’s new, what’s hot (or at least what’s right, right now) the notion of a thoughtful and concerted brand strategy is not just this season’s buzzword. 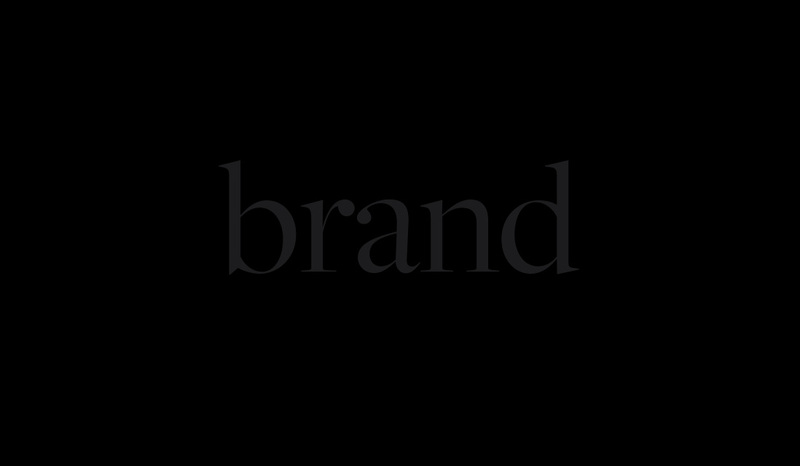 In fact, brand strategy was first made fashionable in the 1980s by many influential brand strategists such as Al Ries, Jack Trout and in particular Michael Porter in his classic text, Competitive Strategy in which business is acknowledged as a competitive battle in which brand strategy is essential to winning. Nearly thirty years and, according to National Bureau of Economic Research, at least five recessions later, the focus on brand strategy and all its components has only intensified. So if you don’t want to be the latest casualty of a mercurial economy, it’s never too late to focus on your brand strategy to make sure your best consumers – and those you have yet to reach – understand who you are, what you stand for, how you are different and why they should choose you over and over again.